I read this article and found it very interesting, thought it might be something for you. The article is called The CEO of Sears Fails His Company by Believing in Ayn Rand and the Invisible Hand and is located at http://evonomics.com/the-ceo-of-sears-jon-haidt/. Imagine that a major league basketball team is bought by a hedge fund manager who is a firm believer in the value of competition. Not just competition across teams, but competition within teams. He implements a radical new policy: each player’s salary is determined exclusively by the number of points he scores. Crazy, right? Anyone can see that such a policy would ruin teamwork and destroy the team’s ability to compete with more cohesive teams. The results have been disastrous, in part because Lampert was ideologically committed to the metaphor of the invisible hand and the associated idea that people are purely selfish. Ideology is a lens – it makes some things more visible, others less so. Lampert’s ideology prevented him from seeing that he was destroying the invisible band – the bond that forms around groups that can trust each other and work together toward shared goals. Evolution is a different lens – one that we believe brings unparalleled focus and resolution when examining complex human systems. A brief look through the evolutionary lens would have made it obvious how dysfunctional Lampert’s reorganization was likely to be. Welcome to Darwin’s Business, where we’ll analyze trends, news stories, and new ideas in the business world from an evolutionary perspective. 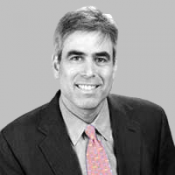 Over the next few posts we’ll explain what it means to look through the lens of evolution, and we’ll say more about ourselves–Jonathan Haidt and David Sloan Wilson. But the Lampert story is just so juicy that in this first post we want to jump back into it and show you how helpful evolutionary thinking can be. Evolution is all about competition, and the dramatic effects that competition has on the structure and behavior of organisms over time. But here’s the key idea: competition occurs at multiple levels simultaneously, and the winner at any one level generally succeeds by suppressing destructive forms of competition at the level below. Just look at our cells: each one contains mitochondria, each of which has its own DNA because mitochondria used to be free-living organisms. But somehow, various bacteria-like organisms found a way to incorporate each other and cooperate, and the result was the eukaryotic cell, which spread like wildfire over a billion years ago because it was able to harvest the benefits of division of labor. Eukaryotic cells then found a way to cooperate with each other to form multi-cellular animals and plants, which spread like wildfire because they too were able to reap the benefits of the division of labor: some cells became leg muscles; others became adrenal glands or brain cells, and the diversified body was able to do things like run after other animals, kill them, and eat them. But individual organisms are not the highest level of organization. In a few species – such as bees, ants, and humans – evolution created innovations that allow groups of thousands or millions of individuals to work together toward common goals and build gigantic corporate entities, such as beehives, ant nests, and… corporations such as Sears, which thrive and cover the earth because they reap the benefits of the division of labor. This is the point that Lampert seems not to have grasped: cooperation and trust generate extraordinary value, yet they are fragile and easily undermined by competition at the next-lower level. It’s as though there’s an invisible band, which ties all the members together and motivates them to work for the common good. But if you tell everyone to be selfish and then you reward selfishness, the band dissolves and you lose the benefits of cooperation and division of labor. This entry was posted in Business and tagged Invisible Hand, Sears. Bookmark the permalink. As far as we can tell, human beings hunted and gathered cooperatively maybe 50,000 years ago. Maybe they knew something that Mr. Lampert doesn’t know, or never bothered to learn. Lampert’s failure to appreciate Coase (Nature of the Firm,’37) and the tradeoffs that must be weighed when determining the boundaries between firms and markets says nothing about the idea of the invisible hand. Lampert’s hand was, in fact, visible, heavy, and misguided. It seems that Lampert does not appreciate spontaneous order. That people are possessed of self interest is true, but that self interest also manifests in cooperation. Humans cooperate because individuals realize personal advantage from doing so. This is the source of Adam Smith’s allegory of the invisible hand. Man’s competitive nature comes from his evolutionary heritage, likewise cooperation is also from tribal evolution. Only a relative few can compete to the top of the hierarchy of power, but all are able to benefit from cooperation. The market is a manifestation of our cooperative nature, as trade enables us to cooperate with strangers instead of competing with them for resources. I suggest that Lampert holds a poor interpretation of Rand. I like your post save the last line. Rand was not about cooperation. As such, the interpretation of Rand is appropriate. If you don’t think Rand saw cooperation in play in markets, then how could she write about factories of workers cooperating to produce steel, or to operate a railroad, or create an enclave for the strikers to live in? I think it helps to explain that her books are fiction and resemble a romance novel with a thin veil of debunked philosophy. 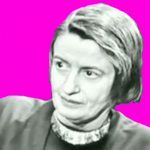 Believing Ayn Rand as a visionary of how society and economics should work is a GRAVE mistake. I saw no vision of how society SHOULD work. Mostly a critique how how political government actually works. As an opinion piece, I find that Mr. Haidt falls short in presenting what could possibly be a convincing argument. His entire theory hinges on two items – 1) that Sears has been failing in some way since the mentioned changes took place, and 2) that there is a direct link between biological evolution and the evolution of social organizations and businesses (he does not simply use this link as a metaphor). However, Mr. Haidt simply first states that Sears’ results have been disastrous. In what way and by what measurement? Perhaps he assumes that this should be obvious to his readers, but in the age of social media, many readers like myself are not business-page denizens, but were rather interested enough in the premise to take a look upon the suggestion of an associate. Secondly, Mr. Haidt glosses over the fact that in his presentation of evolution he moves from biology to anthropology, exploring no direct connection between the evolutionary principals of either. Perhaps evolution functions much the same between both disciplines, but no rational argument for such similarities is given. As such, this article joins the droves of blog content online that simply panders to a sympathetic audience rather than adding to the collective wisdom. I think you make some good points that this could be developed better, but it is helpful in pointing out a need to broaden economic thought around systems and cooperative behavior of humans. That’s just it. No need or rationale to bring outside theories into traditional economic thought is convincingly given here. As far as cooperative behavior, he does make a fleeting theory that competition within an organization undermines the benefits of division of labor, but it is again unexplored or supported in any way. He gives us no reasons to believe his ideas. Oops, are we talking about thought here ? About what a CEO thought ? About what we should think about him ? And so on, in infinite regress ? By all means discuss corporations – wierd, legal fictional “men” – bodies corporate but unlimited in size, deathless but not immortal, able to live without sleeping, to be in many places at once, what we think of as Giants, Ghosts, Magicians, even (?) God ? Corporations are complex “things,” fair enough, and worthy of discussion. But, to continue with just the last sentence, what is this about “capitalism” ? What kind of stuff is that ? Stuff and nonsense. Pure unadulterated theoretical b.s. Marxian rambling. Socialist justificationism. A universal marker of lack of thought. Someone taking a short cut, and begging the question. Then the complaints of “selfishness” – (?) – all of us who think are “selfish” – only an individual with a brain of his own can do that which we call thought – if you take “your” ideas from someone else, you are not thinking, you are latching on to someone else’s thinking – and if he is wrong, then you are also wrong. Think about it, yourself. Can be quite hard. In the end I despair: of a religious, socialist, collectivist, materialist world. We’re doomed ! There is no “invisible hand of a free market”. There is most certainly a ‘hidden hand of a corrupted market’! Just when you thought this site couldn’t be more retarded than it already is, they come out with this moronic article. Thanks for the laughs. Hasn’t Sears been in decline for about 40 years? Basically ever since Wal-Mart grabbed the lower-income side of their market with relentless focus on low prices, and Macy’s took over the suburban middle-class sector by consolidating all the locally owned, fashion-oriented department stores into a single brand? (And then Amazon moved into the neighborhood ….) As much as I admire Prof. Haidt’s work, I think the chain was sunk long before Lampert.